1 coat over OPI You Ottaware Purple. 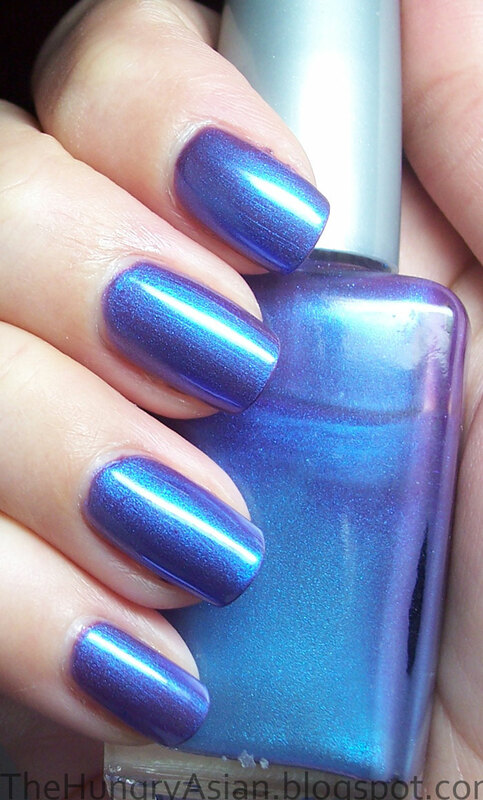 This is pretty sheer alone since it is just pigment in WnW clear polish so I layered it. A duochromey blurple that I love! The pigment I used is on the left. It doesn't show the duochrome shimmer in the picture. I used most of what was in there in my franken. Probably 1 tablespoonish and 3/4 bottle of Wet n Wild clear. The downside is I have to shake the poo out of it since it settles but oh so worth it!